If the goal of advertising, marketing, and PR is to reach as wide an audience as possible, it only makes sense to translate any and all marketing materials to really reach the widest, most global audience there is. At Translations Services USA, we've been helping advertising, marketing, and PR agencies for over 10 years to do just that. We've been working with advertising materials for all sorts of companies and industries for over a decade, and over that time we've narrowed down our pool of translators to only the best and most-qualified, native-speaking, professional linguists from around the world. 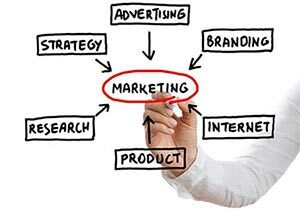 All translators we assign to work on your marketing materials have experience in either advertising, marketing, and PR, and in your selected industry. Whatever is important to you is important for us to get right. Whether you work for a large or small agecny, do marketing in-house for a corporation, or are a small business owner trying to get their name out there and compete with the big players, Translations Services USA can help you convey your message to anyone, anywhere. Contact us today for a free quote and send us any materias you need translated. Your individual account manager will get back to you quickly with a quote custom tailored to your needs, and can offer you various options to help meet your budget and reach the widest audience possible. Get a price quote now!